Paying their debt: Samir Nasri and Manchester City. Nahyan tonight by avoiding another Champions League loss. The Premier League champions must beat Bayern Munich at the Etihad in order to qualify from the group stage – failure to do so would see them exit the tournament for second time in three seasons. For a club with such high ambitions, the 27-year-old midfielder accepts exiting early could result in a major overhaul of the squad next summer. “Let’s be honest. With the salary of every player and the level of those players, 90 per cent of the team is world class, then not to qualify from the first round of the Champions League would be a huge blow for the club – and for us as well," he said. “We need to do something or otherwise next year it is going to be new players, everything. That’s how we work when you play for a big team, a big club. You have to respond and show everyone you deserve to qualify. “In the last three years I have been here, we have won the Premier League twice and been runners-up, but now we have to improve in the Champions League if we want to be a top club. It’s not enough to be top in your league if you don’t do anything in the Champions League. “With the players we have and everything, the owner gives us his trust, we have to return it in the Champions League. But the thing in the Champions League is not just the talent, it’s not being a team, it’s the experience as well. The France international admits City are “lucky” to still be in with a chance of qualifying for the last 16 having failed to pick up a win so far. But they are just two points behind Roma and CSKA Moscow with games against Bayern and the Italians left. And he believes City can show they are 'big time flops' and despite domestic success, are hungry for silverware on the European stage. “At the moment, we aren't performing (well) in the Champions League and that is a reality. That is nothing to do with a comfort zone," he continued. “The manager doesn’t give anyone comfort in what happened last year. We need to show it (hunger) in every game, but most importantly in this kind of game. long, even if they do fail this year. “It’s hard to tell from the outside, but of course you expect that any season City will make that impact in Europe," he said. Roberto Di Matteo only has eyes on three crucial Champions League points when the Schalke coach welcomes Chelsea to the Veltins Arena. Champions League success to Stamford Bridge. But the 44-year-old Italian is only worried about keeping up Schalke’s chances of reaching the knockout stages of this year’s competition, with his side currently second to Chelsea in Group G.
“I had a very good time as a player and as a manager in London. I spent many years of my life there and I am still in contact with some of the people and the players,” he told reporters. A win for the Premier League pace-setters would see them seal progression out of the group whilst a defeat could leave Schalke open to being caught by either Sporting Lisbon or Maribor. “The group is still wide open. 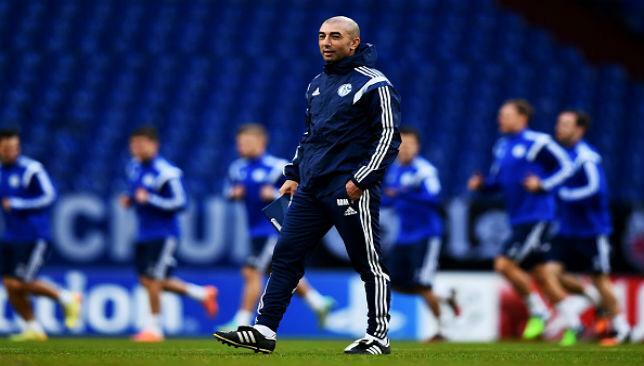 Every team has the chance to reach the knockout round," Di Matteo continued. Meanwhile, Chelsea coach Jose Mourinho was in no mood to talk about Di Matteo’s achievements and instead focused on delivering a stark warning to his own troops. “I am not here to speak about Roberto Di Matteo, I am here to speak about the game,” he said. League would be very bad. Alisher Usmanov believes Arsene Wenger needs to strengthen the squad in order to compete for silverware. Arsenal’s second largest shareholder Alisher Usmanov has told Arsene Wenger to start learning from his mistakes and claims the Gunners need to strengthen the entire team to compete with the best in Europe. The Russian billionaire, who owns 30 per cent of the club, was keen to emphasise his admiration for Wenger but believes the Frenchman is letting his principles stand in the way of Arsenal’s success. The Gunners have lifted just one trophy in nine-and-a-half years and a 2-0 defeat at home to Manchester United on Saturday marked the team’s worst start to a season since 1982. “Arsene Wenger is one of the greatest coaches, not just of European, but of world football. 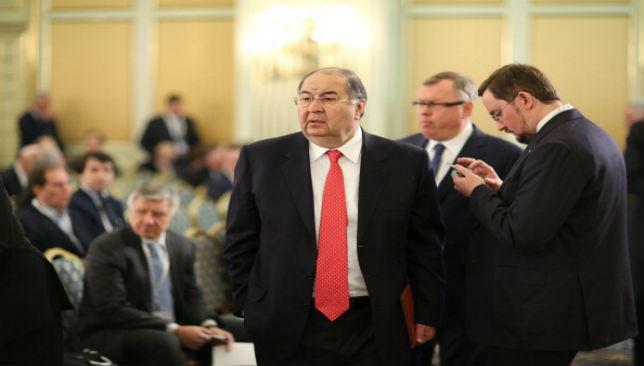 But we have a Russian proverb which goes, ‘Even an old lady can have a roof falling on her,” Usmanov told CNBC. Usmanov insists that money is available to add more quality to the squad and Wenger must not allow his principles to translate into “lost possibilities”.